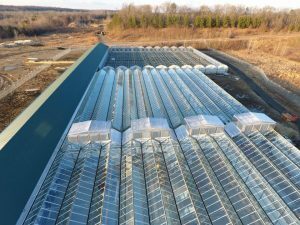 ForwardGro has been approved by the Maryland Cannabis Commission to begin growing Medical Marijuana in their green houses. Green Way Consults is happy to announce the Maryland Cannabis Commission has authorized ForwardGro to begin cultivating medical marijuana at their Anne Arundel Grow Facility. On Wednesday, the Commission voted in favor of awarding Maryland’s first full permit to grow marijuana for the state’s medical program. ForwardGro has been awarded with the Stage 2 license which was the final step from the Commission to begin cultivating plants. Once the dispensaries are approved in accordance with final inspections and regulations, ForwardGro will be able to sell its medication. The final approval of the state’s dispensaries is expected by mid to late summer of this year. There is a common belief among residents and patients of the state, that this plant will bring both economic and health benefits to tens of thousands of Maryland residents throughout the state. With all the major delays that this program has faced, this is a huge milestone for the Maryland Medical Marijuana Program. There have been numerous lawsuits by businesses that have failed to win licenses and were disappointed by the outcomes of the licensing process. There was an upheaval regarding applicants who were displaced due to geographical diversity and a strong opposition by many who believed that there was a lack of racial diversity when awarding licenses. However, with ForwardGro receiving this approval it is clearly evident that Maryland will be moving forward, full-steam ahead with its medical marijuana program. In addition, the Commission suspended the license of MaryMed, one of the other 15 preliminary cultivation approvals. The Commission had requested additional information in regards to the company’s application and that information had not been provided thus far. MaryMed’s parent company, Vireo Health, has been under investigation for allegedly transporting marijuana across state lines. If you are interested in learning more about Maryland’s Medical Marijuana Program or obtaining a MMJ Card by a registered medical marijuana doctor, please call a Green Way Consults’ representative at 410-762-8745. With Medical Marijuana expected to be for sale in the next few months all those interested in receiving a Maryland Medical Marijuana Card should call now. Green Way Consults would like to thank ForwardGro on behalf of the Maryland Medical Marijuana Community. ForwardGro has shown a major commitment to the medical marijuana community by building such an impressive facility in such a short period of time. This facility will be responsible for providing Maryland patients with the medical cannabis flower and concentrated oil that so many are in need of to receive relief. It has been a long journey to reach this historic milestone. Keep up the great work ForwardGro, we are all lucky to have such an organization taking the lead during these exciting times!